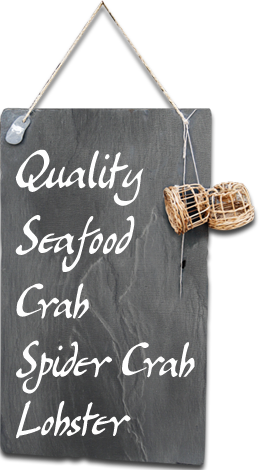 At Seafood House we supply quality seafood. Fresh hand picked crab meat, spider crab, lobster, hand dived scallops, mussels and line caught fish. We have first hand experience in seafood and have owned our own fishing boats for over 27 years, therefore we know exactly where all our seafood is sourced. We then process the seafood ourself in our own building on the quay in Teignmouth and supply to our customers direct.